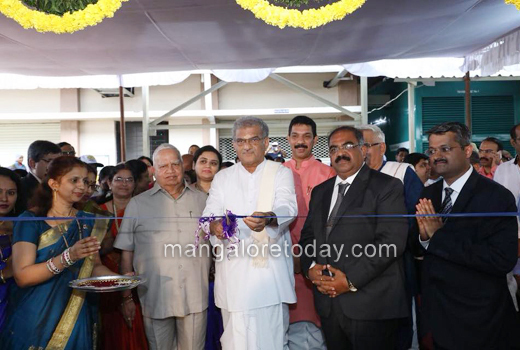 Yellapur, Sep 01 2018: The renovated and state-of-the art dairy of Sri Krishna Milk was inaugurated at Hosalli in Kiravathi of Yellapur taluk by Dharmasthala Dharmadhikari Dr D Veerendra Heggade. The unit has been opened under the Union Government’s Integrated Cold Chain and Value Addition Infrastructure Scheme. 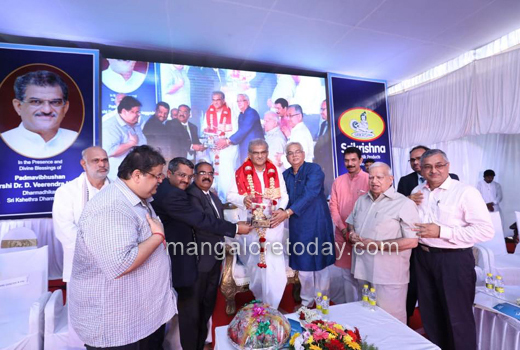 Speaking on the occasion, Dr Heggade hailed Sri Krishna Milk for its quality products. Discipline and dedication will help in achieving success in any field, he added. He also stated that the firm was supplying three tonnes of pure ghee to Sri Kshetra Dharmasthala every month for preparation of Prasadam. Dakshina Kannada MP Nalin Kumar Kateel released the Son Papdi Sweet launched by the firm. Local MLA Shivaram Hebbar also spoke. 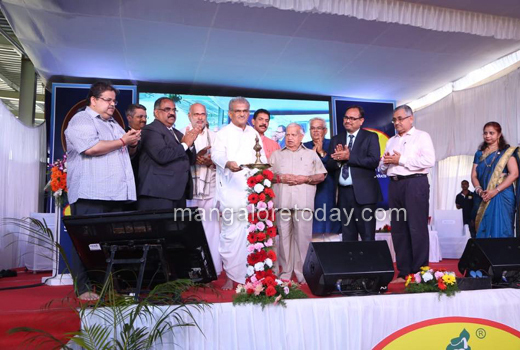 Pradeep Pai, Managing Director of Hangyo Ice Cream, Jagadish Pai, Executive Director, Satish Pai, Director, Rajeev Lochan Das, Chief of Hubballi- Dharwad unit of ISKCON were present among others.